Professor Lyon is the Director of the Erb Institute for Global Sustainable Enterprise at the University of Michigan, where he is on the faculty of both the Ross School of Business and the School of Natural Resources and Environment, and holds the Dow Chair of Sustainable Science, Technology and Commerce. He earned his bachelor's degree at Princeton University and his doctorate at Stanford University. He has been a visiting professor at the University of Chicago and at the University of Bonn, and a Fulbright Scholar at the Scuola Sant'Anna in Pisa, Italy. He spent the academic year 2002/2003 as a Gilbert White Fellow at Resources for the Future in Washington, DC, and 2003/2004 as a visiting economist in the Antitrust Division of the U.S. Department of Justice. Professor Lyon serves on the editorial boards of the Journal of Economics and Management Strategy and the Journal of Regulatory Economics, and his research has been published in such journals as the RAND Journal of Economics, the Journal of Law and Economics, the Journal of Public Economics, the Journal of Economics and Management Strategy, and the Journal of Law, Economics and Organization. 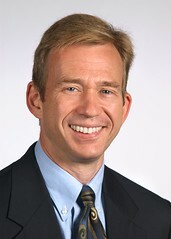 Professor Lyon's primary research interest is how regulation affects corporate behavior (and vice versa), a topic he has pursued in such areas as corporate environmentalism, electric utility investment practices, natural gas contracting, health care innovation, and the introduction of competition in regulated industries. His current research projects include studies of environmental information disclosure by corporations, corporate greenwash, voluntary environmental programs and agreements, the strategy and behavior of non-governmental organizations (NGOs), and the drivers of renewable energy policy and deployment. His book Corporate Environmentalism and Public Policy (with John W. Maxwell) is the first rigorous economic analysis of this increasingly important area. His most recent book is Good Cops/Bad Cops: Environmental NGOs and their Strategies Toward Business, forthcoming from Resources for the Future Press. Professor Lyon's teaching experience includes managerial economics, business and government, energy policy, game theory, business strategy, and the management of innovation. How Do Investors Respond to Green Company Awards in China?